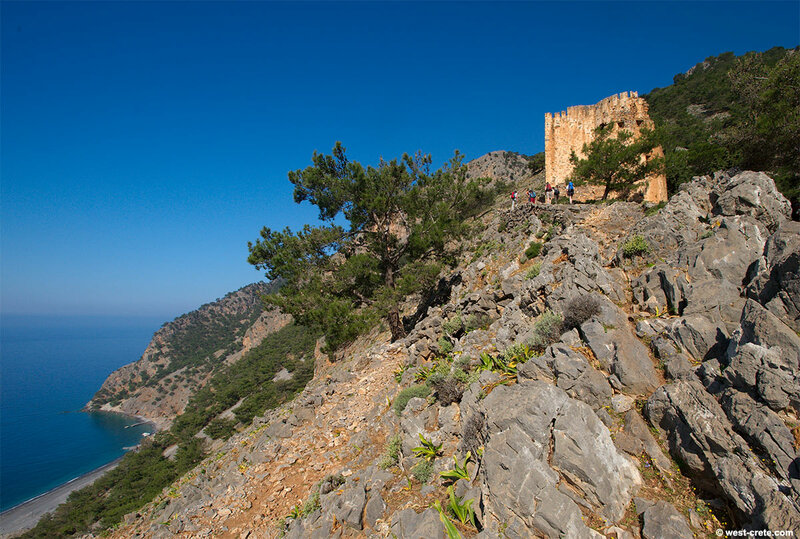 The ruins of a Turkish fort on the hill above Agia Roumeli. An easy walk up will give you wonderful views of the coast. It is also possible to walk further up to the ruins of a second fort but that walk is a little bit harder, especially when it is hot.